What is a Hospitality Manager and What do They Do? The hospitality management profession is comprised of management and supervisory roles within the restaurant and hotel industries. 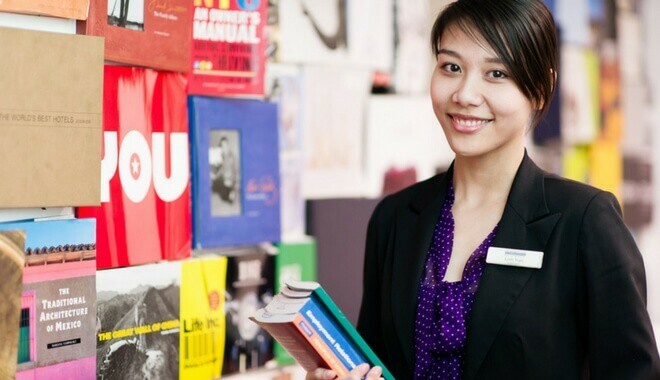 A hospitality manager will generally start their career in management with an entry-level position before working their way up the proverbial ladder. 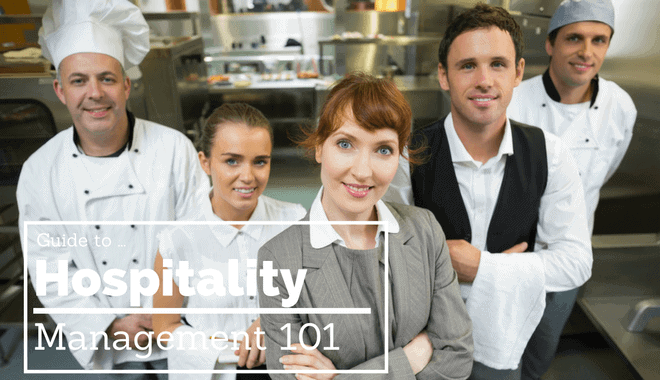 At a minimum, a hospitality manager should have a bachelor’s degree in hospitality management or a closely related field like tourism management. Masters’ and Ph.D. programs in this field are also available, as are professional certifications; however, these are not required. In general, hospitality managers oversee the day to day operations of a hotel or restaurant, which includes managing personnel, ensuring guest satisfaction, and following the appropriate steps to ensure that the facilities are well-maintained. Hospitality managers are also required to oversee the upkeep of financial and administrative records. The specific job duties of a hospitality manager will depend upon the particular job title he or she has. For example, an individual who works as a food service manager will be responsible for the hiring and training of new employees, as well as ensuring that their foodstuff is properly prepared and delivered. They are involved in the financial and legal aspects of their establishment, including working closely with vendors. They are also responsible for investigating guest complaints. On the other hand, a person who holds the title of lodging manager will have a completely different set of job duties. Lodging managers work exclusively in the hotel industry. Just a few of their responsibilities include establishing room prices, coordinating the activities of the front office, the hiring and firing of personnel, and keeping track of the budgets for different departments. First and foremost, industry experience is critical for those who want to become a hospitality manager. Education is another crucial requirement, as a growing number of employers are giving preference to candidates who have at least a bachelor’s degree in hospitality management or a closely related field. In addition to a thorough knowledge of how the industry operates, the ideal hospitality manager will have excellent communication and problem-solving skills, a strong leadership presence, and superior customer service skills. Customer service skills, in particular, are crucial because these managers will often be called upon to deal with angry or dissatisfied customers. Most importantly, a hospitality manager should love working with people, because this exciting and challenging profession requires a lot of interaction with the general public, as well as personnel. The educational requirements for a position in hospitality management will depend upon the size and the type of establishment a candidate wishes to work for. For example, an individual who works as the manager of a fast food restaurant will only be required to have a high school diploma and a few years of relevant work experience. However, an applicant for a position with a food service management firm or a national chain restaurant will often be required to have postsecondary education (e.g. a bachelor’s degree). While smaller bed and breakfasts and hotels are more likely to promote applicants from within their own ranks, regardless of their level of education, full-service lodgings will generally only hire applicants who hold a bachelor’s degree. To move into the echelons of upper management, most candidates will be required to have a master’s degree. Hospitality management programs offer an excellent combination of on the job training and classroom lectures. Most accredited programs offer an abundance of co-ops and internships, including international options. Undergraduate classes generally focus on management skills, accounting, food and beverage management, labor supervision, hospitality law, marketing, cost control, culinary arts, and management information systems. 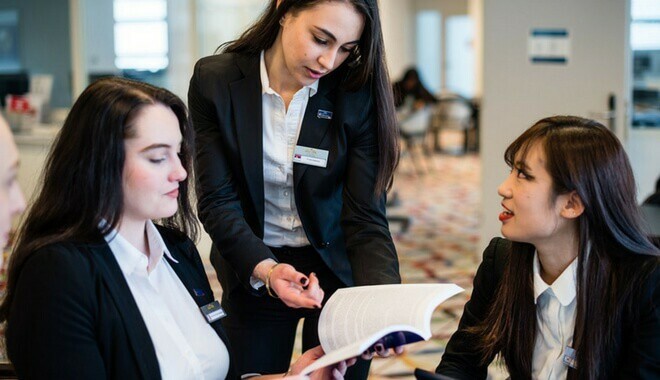 Graduate students in the field of hospitality management will take more in-depth classes that focus on global issues in the hospitality industry, like organizational behavior and conflict management. Do I Have to Get Any Professional Certifications? No, you do not have to have any professional certifications to become a hospitality manager; however, there are additional professional certifications that you can earn, which will look good on your resume. For example, hotel managers can choose from among several professional certifications from the American Hotel & Lodging Educational Institute; however, there are specific experience and knowledge requirements that must be met before an individual can become certified through the AHLEI. Likewise, food and beverage managers can obtain optional professional certifications through the National Restaurant Association Educational Foundation. Their certification as a Foodservice Management Professional (FMP) designates an individual as competent in the industry. What Kind of Salary Do Hospitality Managers Make? Because the hospitality profession is so diverse, it is hard to pinpoint a median salary for the field. The starting pay for a person with a hospitality management degree will depend on their educational background, geographic location, experience, and specific job title; however, the general starting salary is between $34,569.00 and $48,950.00. The geographic location where a hospitality graduate is employed significantly impacts their salary because different cities have varying costs of living and fluctuating demand for these jobs. Individuals with a degree in hospitality management, who also live in San Francisco, California, have a median annual salary of $51,000.00. However, a graduate with the same degree who lives in Atlanta, Georgia will only make $35,000.00 every year. Because the hospitality industry is rapidly growing, there are different jobs that are in high demand. For example, gaming managers are in particular demand right now. As of 2015, the average starting salary nationwide for a gaming manager is $74,000.00. The hospitality related job that currently pays the most is property general managers. These individuals have an annual median salary of $200,000.00. What Is the Job Outlook for Hospitality Management? This will create approximately 4,800 job vacancies over the next decade, and there is a severe shortage of qualified individuals to meet the demand. The BLS predicts that individuals with a bachelor’s degree in hospitality or hotel management are expected to have the best job opportunities, and graduates can expect stiff competition for available jobs. How Can I Become a Hospitality Manager? The first step to becoming a hospitality manager is to obtain your bachelor’s degree in hospitality management or a closely related major. Most accredited programs in the United States offer internships and other interactive, educational components to assist their students in gaining hands-on experience. These programs can be found at a diverse range of schools across the country.